Life is not an audition! The time to dazzle is now! Inspired by the finest runway styles and tested backstage, the TIGI Catwalk range delivers the looks that you need to truly shine. Your hair becomes the star of the show as you get creative with the high performance products and fashion the designer styles that produce the perfect portfolio. 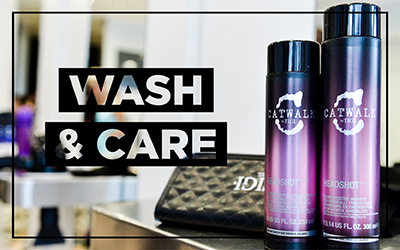 Your tresses are given the star treatment with TIGI Catwalk! Beautifully cleansed and conditioned, your locks look and feel radiant and healthy. You can then add the perfect finishing flourishes by enhancing definition, texture, volume and shine to set your hair apart. 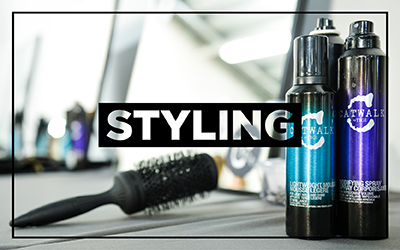 Lock-in your style with the outstanding hairsprays and you are ready for your starring role! For starlets, superstars and fashionistas, TIGI Catwalk delivers vibrant and memorable hair.